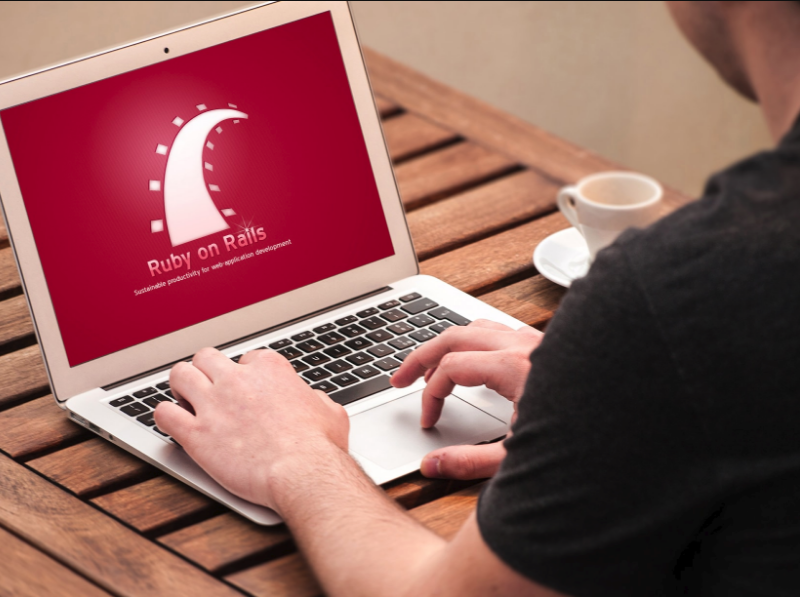 7 Punch Points – Why Ruby on Rails Development is Preferred Among the Developers? 7 Punch Points – Why Ruby on Rails is Unstoppable and Preferred Among the Developers? With the advancement in technology, countless new frameworks are evolving, every now and then, to offer more flexibility, features, and commitments for the tech geeks as well as for the businesses. Being a developer or designer, many times you feel stuck with the challenges to deliver complex functionalities while designing & developing web applications and you might look out for the robust framework to help you out in a best possible way. And when we talk about the robust framework, Ruby on Rails has become the preferable frameworks among the developers! Okay, but why you should go for ruby on rails development? Being a Ruby on Rails developer or designer, do you want to try your hands on ruby on rails and grab some exciting projects from the client but looking for some robust punch points to encourage you? Well, we’ve listed down a few punch points to fuel your hunger to learn ruby on rails. 1. Do you know Ruby on Rails is damn cool for the beginners? Well, you might have heard and seen for other frameworks too, but what makes Ruby on Rails so great for the beginners is the essence of Ruby. If you’re having some experience in website development, you might be aware that Ruby is much easier than any other programming languages. And the reason behind this is its flexibility. So, you don’t have to spend more time in pulling your hairs learning a new language but sharpen your saw in something worth. On the other hand, rails bring robust nature and do rest of the nitty-gritty stuff for you. Rails is powerful and tying Ruby with Rails bring smooth learning curve with a robust structure for the developers. 2. Do more with fewer HEADACHES!!! When you get into ruby on rails website development, you can accomplish a lot of your technical stuff with fewer headaches. The reason behind this is you’re having streamlined structured and reusable code. Well, this is one of the most interesting features of Ruby on Rails. Rails uses an internal DSL, which extends Ruby with its own semantics. You don’t have to go to external parser since it’s all internal. This means it has excellent self-control and makes it quite easy even for the non-programmers to understand what is written in typical RoR code. If you read the code of RoR, you will find less programming and more of an English language for you. So, don’t hesitate and do express your thoughts, as far as it is in sync with RoR standards! Luckily, RoR got an army of world’s best contributors that ensures it stays on top all the time. If you’re working for any Ruby on Rails Development Company, you might be aware of how the entire community maintains the RoR environment and constantly encourages people to go for it. Sharing best practices, answering your queries and thriving to deliver only the best, these are a few best qualities of RoR communities and rare to find in others. One of the major punch points for ruby on rails is its capabilities to help you leverage from rapid application development. With the help of its flexible architecture and ease of accommodating frequent changes or enhancement, it brings out-of-the-box support for your rapid application development. Do you know that the Ruby code is easily readable and quite self-documenting? Well, as you already have most of the things available and well-documented, you don’t have to invest more in documentation. Being a ruby on rails development company, it will bring more productivity to your development team while improving overall technical knowledge in RoR. You can easily search and pick-up the needed details for your implementation without wasting time in preparing and documenting things on your own. 7. And even big brands use RoR!!! Sometimes it is good and safer to follow someone more powerful and leader in your domain. Choosing something that is extensively used and adapted by the industry leaders can bring sure-shot and safe investment for your website venture. If you see the stats, you will find that many popular brands like Bloomberg, Airbnb, GitHub, Slideshare and much more are leveraging from Ruby on Rails development services. So all you’ve to do is to follow the footprints of your leaders and get the best of what you can today. Aside to this, there are tons of other benefits that you can leverage from the RoR. However, like coins, RoR too has some grey shades, i.e. performance and scalability issues. But if we compare the framework with others, it has a lot of promising things for the developers getting into website development. Want to know more about it? Get in touch with XongoLab, professional ruby on rails development company now! Next PostNext Know Which Bitcoin Wallet Is Right For Your Business!